What's Special Items in Fruit Target? How do you use them? Find out here! Shooting is the main skill but not enough, these special items will be your must-have stuff that helping you win the battle. Have you ever think fruit could help you on battle? 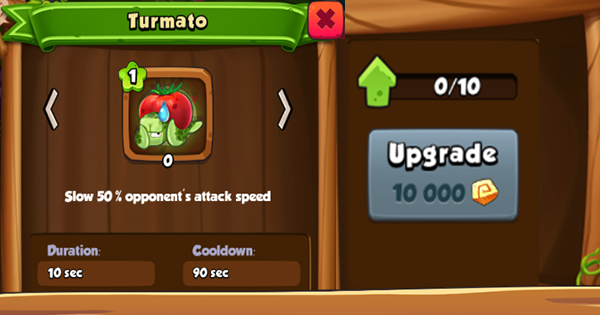 Tomato, starfruit, strawberry and much more are soft fruit but in this game, they become the useful abilities which could be used to destroy the opponent. All these Special Items are random drops by shooting in Freemode and creating in laboratory. How To Get Special Items? Getting these types of Special Items, players need to play all of shooting modes or experience features in Fruit Target and several ways to get it for free. Some of them are easy and some are just a matter of time. Others are more of a challenge. However, if you want to get them faster, just have go to store and buy it! Materials for making them include pieces of fruit and gold. 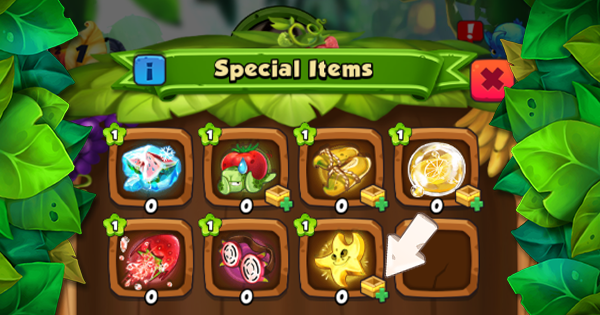 To get a Special Items, you simply have to reach the required number of pieces of fruit and gold. Firstly, your task is to find enough pieces of fruit for the craft. Then just use gold to complete the special item which you need. Please take a look for more details! Step 1: The plus sign icon will show up in the Item, it means that you got enough the required number of pieces of fruit to create it. Step 2: After clicking on that Item which you want to create, its information box will display. Just focus on the creation column, remember check again your gold needed to create. Step 3:Just click "Create" button and you got it! You must use an item according to the required number of times. Check your gold needed to upgrade.